The tech industry’s severe lack of gender, ethnic, and racial diversity has an effect on company culture, profitability, and diversity of thought. Women in Technology and Entrepreneurship in New York (WiTNY) is working to positively alter the statistics by increasing the number of women majoring in tech fields and pursuing tech careers. 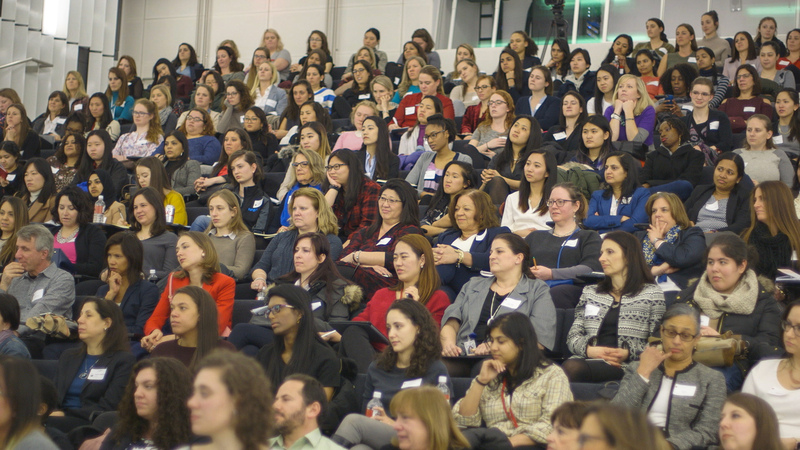 Members of the WiTNY community recently gathered at Cornell Tech to hear from Program Director Judith Spitz, Deputy Mayor for Housing and Economic Development of New York Alicia Glen, and Winternship alumni as well as a panel of distinguished women in the tech community. Kicking things off, Spitz explained why gender equity in tech is so important, mentioning that teams with better gender diversity perform better and have a higher return on investment. “If you care about revenue and profitability, you want to have more women in tech,” Spitz said. She added that there aren’t enough people working in tech to fill the jobs, that it can help women get into a higher income bracket, and that not enough women advance to leadership positions. Glen discussed how this lack of female leaders impacts the New York City economy specifically and why it’s critical to have more diverse leaders in the field. “The pipeline is more than leaking. We are going backward in a lot of ways so we need to push as many buttons as possible to launch women ahead in the tech sector because now is the time to start fighting for parity and seniority,” said Glen. “When it comes to technology and thinking about the future of the economy in New York City it has to be about being female. The future is female,” she said, adding that we are an inflection point. Following introductions from Spitz and Glen, the panel — moderated by Cornell Tech’s Executive-in-Residence Denise Young Smith, formerly Apple’s Chief Human Resources Officer and Vice President of Inclusion and Diversity — discussed actionable ways to capitalize on the inflection point and create a more inclusive tech community. The panelists included Verizon’s Chief Network Engineering Officer and Head of Wireless Network Nicola Palmer, Accenture’s Senior Global Inclusion and Diversity Managing Director Nellie Borrero, and CUNY’s Professor and Dean Gilda Barabino. 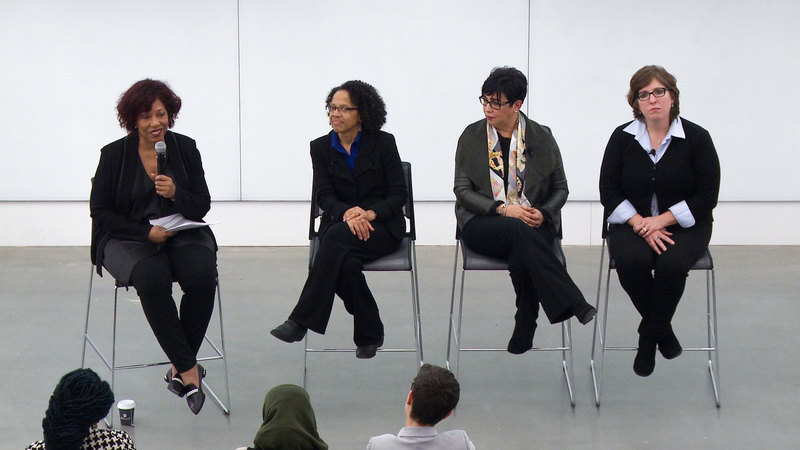 From left to right: Denise Young Smith, Gilda Barabino, Nellie Borrero, Nicola Palmer. Inclusive leaders are authentic, empathetic, transparent, and focused on relationship building, according to Smith. Inclusive leaders create a culture where collaboration, acknowledging diverse opinions, and avoiding favoritism are valued and rewarded. Although leaders help to set the values and expectations for the team, people at all levels must contribute by adopting the same values. Palmer learned what makes someone an inclusive leader firsthand when she worked with a manager who fit the definition. When Palmer was out of the office for months with a significant health issue, her manager took over her role until she came back but still called her each week to ask her opinion and keep her informed. “There was nothing he needed my advice on because he had done the job,” Palmer said. “But that man called me about once a week,” she said. “The reason he called was to keep me engaged and to keep my spirits up when I was feeling down,” she said, “It was a lasting lesson for me about being inclusive and caring about people and keeping that connection because, in the end, that’s what it’s about.” Now she incorporates those tenets into her own leadership style. Foster inclusive leadership in your community so that you can all learn from one another and grow together. Barabino learned this from her experience as the first African American female to serve as engineering dean in the United States at a school that is not a historically black college. When she joined, people lined up outside her office every day to find out how she got where she was in a homogenous field. People talked about feeling isolated as the “only one” — for example, one of the few women or people of color in their class. Barbino started a group so the women would have a supportive community and a space to share their experiences and identify solutions to the inherent difficulties of being a minority in a male-dominated field. One of WiTNY’s goals is to build a strong community of women in tech. Many workplaces have an inherent “boys club” culture like the ones the women experienced at Barbino’s school. When asked how to survive and thrive in that type of culture, Borrero said that female leaders who need to survive and thrive in a white-male-dominated culture have to tell their story, be courageous, and ask for what they want, both in their careers and from their workplaces. As she became a leader herself, she had the leverage to “challenge the status quo” and point out the lack of diversity during the hiring process. But she explained that people at all seniority levels can encourage change by finding advocates and sponsors who care about creating a change in the organization.